Happy March Madness everyone! In the true spirit of this time of year, we thought we would have a little fun experimenting with our alternative payment methods (in bracket form, of course). 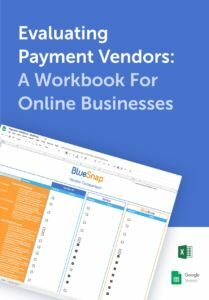 There are over 500+ payment types in the world – we just chose a small sliver of the market to play with to illustrate some of the local payment types needed to reach global shoppers. See below to check out our attempt at a bracket for the Sweet Sixteen, Elite Eight, and Final Four in what we like to call “Global Payments Madness 2015″! We tried to pit similar payment types against each other – bank card against bank card, wallet against wallet, etc. Then we used industry data in order to decide who would beat whom (and of course, we had to have a couple upsets). In the interest of not talking your ear off about why we picked each of the winners, let’s just take a look at the Final Four. For starters, China is the fastest growing eCommerce market in the world, growing at a rate of 35% in 2014 to $426.26 billion. In this massive market, 29% of people are using Alipay – that’s a significant chunk considering the other payment methods that are popular there as well (Online bank transfer, China UnionPay, etc.). Not to mention, there are 8.5 million transactions processed daily with this payment method. If you don’t accept Alipay on your site, you are missing the biggest market on the planet. Carte Bleue may be an underdog, but, France is the sixth fastest growing eCommerce country in the world. In terms of preferred payment methods, 95% of French people choose credit and debit card (of which the most prominent is Carte Bleue). 32 million people use this payment method, and although it may be French-specific, there is a huge opportunity if you are able to accept Carte Bleue on your online store. Another upset, but, we just could not ignore Germany’s prowess in the eCommerce payment scheme. Deciding between Sofort and giropay was hard, but unfortunately Sofort’s bracket was too difficult for them to pull out a win. While Germany is in fifth place for the fastest growing eCommerce country (valued at $63.38 billion and growing at 22%), 40% of Germans are using online payment methods (such as giropay and Sofort). And, on giropay, there are 1 million transactions per month. Don’t miss out on Germany and surrounding European countries by ignoring these payment methods. Coming in at a whopping 9.3 million payments each day, we thought that PayPal was a good bet to get into the Final Four. PayPal is a widely accepted alternative payment method, and out of the top ten fastest growing countries, four of them are heavy PayPal users (United States, United Kingdom, France, and Canada). 161.5 million people trust PayPal with an account (does your site trust them, too? ), so we had to pick them. The jury is still out on the winner of Global Payments Madness, but fear not, there is still time. Have an opinion? We’d love to hear it – comment on our blog or tweet us @BlueSnapInc. Previous Story Shopping Cart (Abandonment) Gone Wild!